I just love Panera. 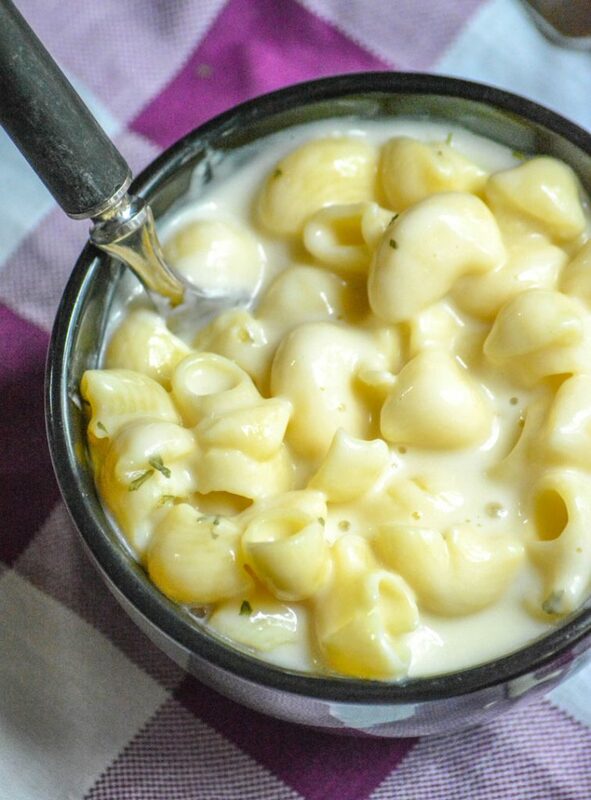 Their soup, their salads, but most of all their mac & cheese. Anyone who has had it can attest that it’s so creamy and rich. Really it’s downright iconic with its blend of white cheddar cheese and pipette rigate pasta. Don’t you want to order it every time you go there? I know I do. But, that’s not really budget friendly. Especially since most of the time when I go to Panera, I have 4 growing, hungry boys with me. The Panera runs get expensive fast. I decided I needed a way to get my Panera mac & cheese fix at home for much less money. 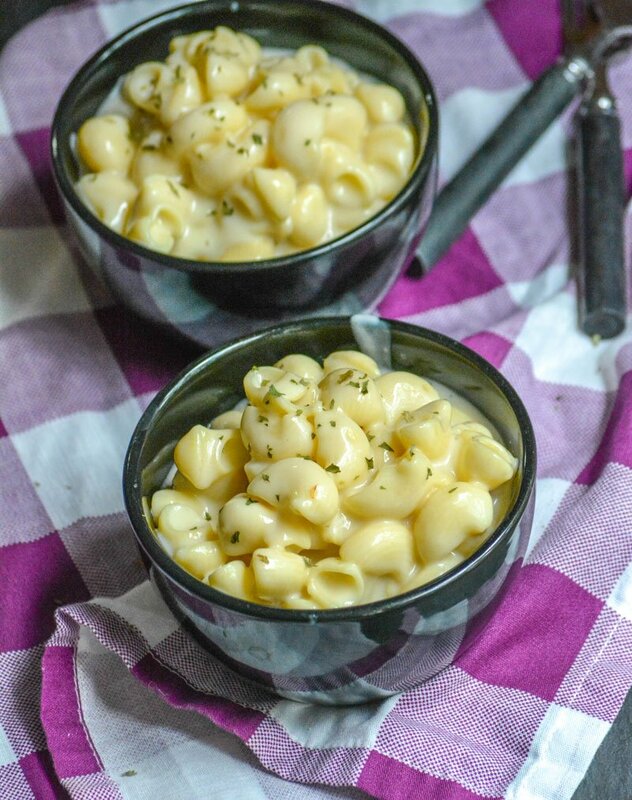 This copy cat Panera Bread mac & cheese does just that. 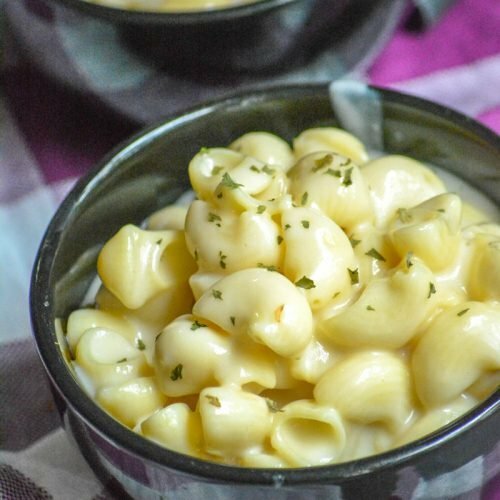 It’s just as creamy and decadent as the mac & cheese from Panera, but it can feed my whole family for a fraction of the price of eating at Panera. Plus, it comes together with just a handful of ingredients in under 20 minutes. You only need butter, flour, pipette pasta, milk, cheddar and American cheese, dijon, and some seasoning. That’s it. And making it? While you cook the pasta, you melt the butter and flour together to make a roux. Then you stir in milk, whisking so the roux incorporates well. Now, you just continue to cook the milk mixture over medium heat until it thickens. Then you stir in the cheese, mustard, hot sauce, and salt. 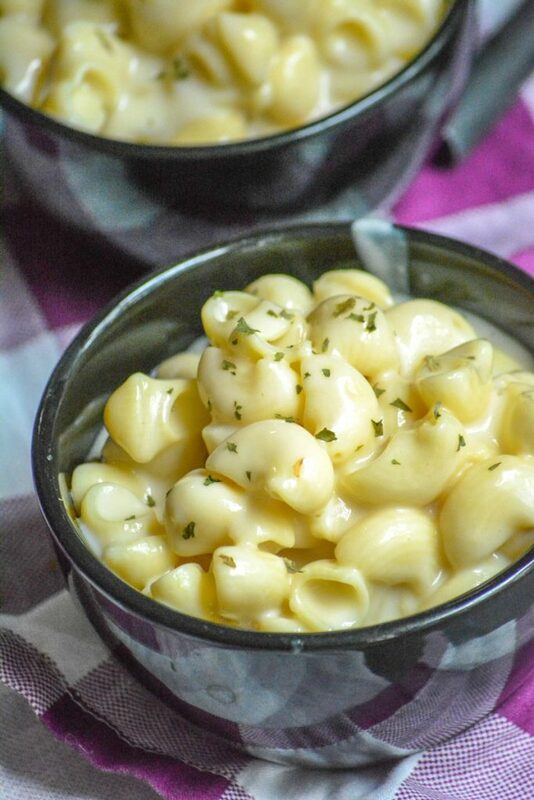 At this point, you just have to toss the cooked pasta with that luscious cheese sauce and a bowl of the best ever copy cat Panera Bread Mac & Cheese will be yours. 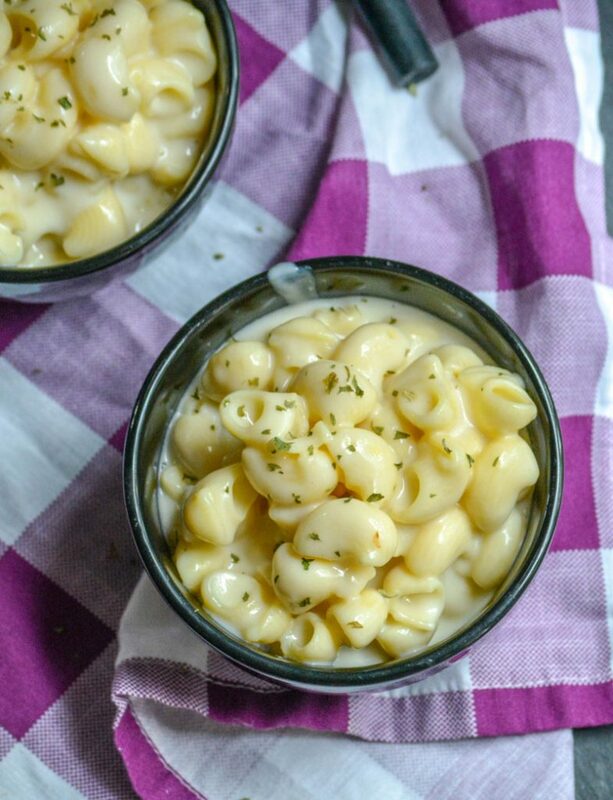 This creamy white cheddar macaroni & cheese is a spot on copy cat of the famous Panera Bread side dish. Cook the pasta in a pot of salted water, according to the package directions. In a large skillet, melt the butter over low heat. Whisk in the flour and cook for 60 seconds while whisking constantly. Gradually add in the milk, whisking until the mixture comes together and is smooth before adding more. Repeat until all the liquid's been incorporated. Cook over medium heat, whisking until mixture thickens and bubbles. Remove the skillet from heat, and immediately stir in the cheeses, mustard, salt, & hot sauce. Stir until the cheese is completely melted and the sauce is totally smooth. Add the pasta to the skillet, tossing to coat. Serve immediately. Surprisingly there is very little cheese in this recipe. Looks so good. It all comes together to form the most delicious creamy sauce.